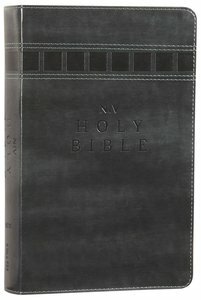 About "NIV Lifehacks Bible Charcoal (Black Letter Edition)"
A 'Lifehack' is any advice, shortcut, or tip that helps you get things done more efficiently and effectively. This NIV range does just that with God's Word, throught 365 practical articles on disciplines like prayer, self-reflection, character formation, and fasting, as well as many other helps. The NIV Lifehacks Bible uses "lifehacking" methods to give you practical and achievable tools to integrate spiritual habits into your busy, technology-centric, 21st century life. With 365 articles covering 30 life-changing disciplines, not only does this Bible illuminate scriptural wisdom on spiritual practices, it provides practical tips and strategies for applying them every day.